Just like any living thing, plants need food to survive. Plants receive food through their root systems from a variety nutrients that naturally occur in the earth. When plants are not grown in soil, but rather in a hydroponic nutrient solution, it is up to the grower to ensure that the proper amount of nutrients are being fed to the plants. Three of the main nutrients that are required for plant growth are nitrogen, phosphorus, and potassium. If any of these are low in supply, you will begin to notice certain signs of plant nutrient deficiency. Here are ways to recognize the signs of plant nutrient deficiency corresponding to each type of nutrient. Nitrogen initiates photosynthesis. 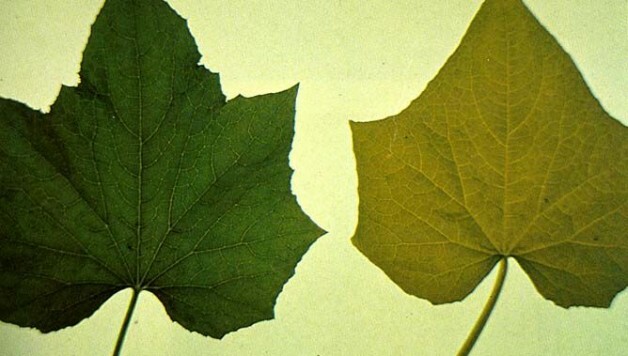 Without it, your plants’ leaves will become discolored, either brown or yellow. This is called chlorosis and is the result of a lack of chlorophyll production. The plant itself will likely not continue to grow or will grow slowly. Phosphorus helps the plant by strengthening its roots and seeds therefore leading to an overall healthier reproduction. 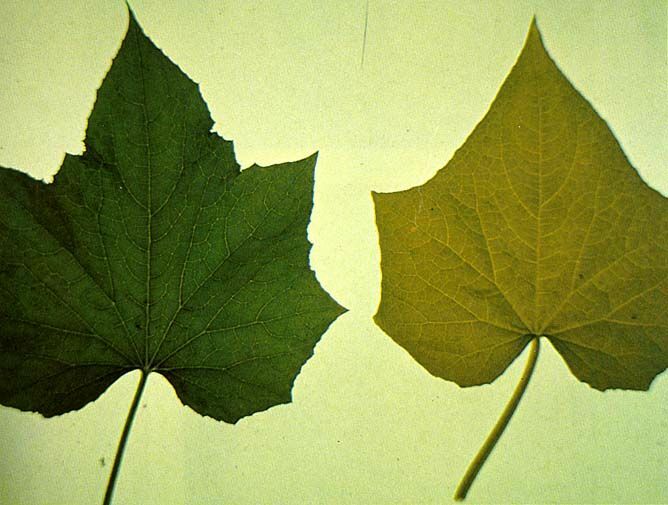 In the case of a Phosphorus deficiency, you’re going to notice a darkening of the leaves. Potassium is ultimately responsible for growth and health, and helps the plant’s immune system. If the leaves have begun to discolor at the edges or the plant isn’t blooming how it should, then this is likely a sign of a Potassium deficiency. For more information about signs of plant nutrient deficiency check out the original article here. Feature Image: A nitrogen deficiency is compared to a healthy one.